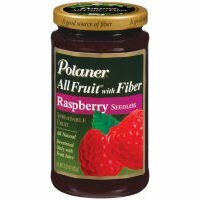 Real fruit goodness, that's polaner all fruit. Made from the finest fruits, and sweetened only with fruit juice. Now, delicious as ever, and a good source of fiber too!